"BP plc, previously known as British Petroleum, is the third largest global energy company, a multinational oil company ("oil major") with headquarters in London. The company is among the largest private sector energy corporations in the world, and one of the six "supermajors" (vertically integrated private sector oil exploration, natural gas, and petroleum product marketing companies). The Company is listed on the London Stock Exchange and is a constituent of the FTSE 100 Index." These pictures were sent in by JH. 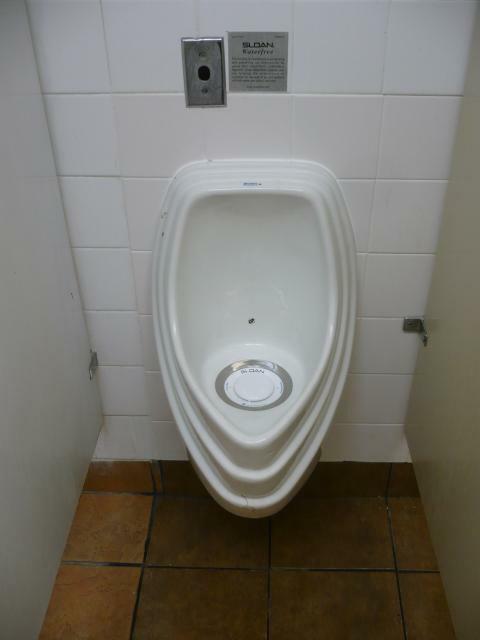 He writes: "Not only was this a really neat design but it's also a waterless urinal at a BP Service and Gas Station. 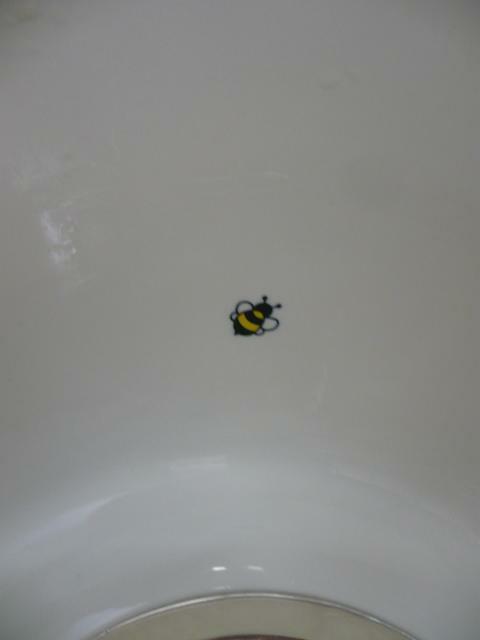 There was a little Bee painted on the back of the urinal so I took a picture of it because you get to "Pee on the Bee, at BP""